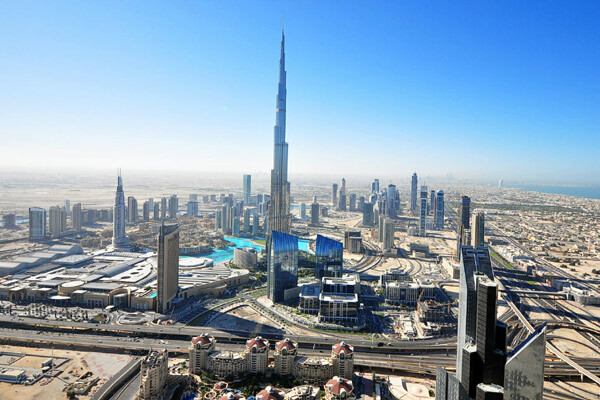 Dubai’s property pipeline is expected to exert continued pressure on the residential market with an additional 10,000 units set to be delivered this year and a further 70,000 before Expo 2020 - according to leading international real estate services firm, Chestertons. Despite several positive initiatives being announced by the UAE Government, including the newly announced retirement visa, company ownership and 10-year residency, apartment and villa rental rates have declined 4 per cent and 3 per cent respectively while sales prices for both property classes declined by 6 per cent, with the trend expected to continue into 2019, stated Chestertons in its Dubai Market Report Q3 2018. Dubai's real estate market equilibrium is possible within three to five years, it added. “Without a significant decline in construction activity, a boost in population and short-term economic stimulus, it is unlikely the residential market will have any respite for the remainder of the year, resulting in an expected supply/demand equilibrium scenario in the next 3-5 years, due to the forecasted property pipeline,” remarked Ivana Gazivoda Vucinic, the head of consulting and valuations and advisory operations at Chestertons Mena. In the rental market, the biggest adjustments were seen in smaller units, a consequence of additional apartment supply and greater affordability in larger units resulting in a Q-on-Q studio decline of 6 per cent, she noted. Studio apartments in DIFC and Downtown Dubai both recorded declines of 11 per cent, falling to Dh67,000 per year and for the same period Discovery Gardens notched the greatest fall, a decrease of 13 per cent for a studio, which can now be leased for Dh35,000 per annum. In the villa rental market, the highest Q-on-Q declines for 3-bedroom units were witnessed on Palm Jumeriah (13 per cent), Jumeriah Islands (6 per cent) and The Meadows (5 per cent), with a three-bedroom units now renting at Dh302,000, Dh235,000 and Dh193,000 respectively. Elsewhere, Jumeriah Golf Estates and The Lakes remained flat at Dh245,000 and Dh183,000, while Arabian Ranches, The Springs and Victory Heights declined by 1 per cent and are now available annually for Dh167,000, Dh153,000 and Dh147,000 respectively. "Greater choice from an affordability perspective is contributing significantly to rental declines in smaller units, particularly for apartments. This trend is also being replicated in the villa market with units, which may have been previously unattainable for many tenants, now within budget," stated Vucinic. "This has been compounded by landlords offering a range of special discounts to retain and entice new and existing tenants," he added. From a sales perspective, prices continued the downward decline witnessed throughout 2018, with no let up for at least another year according to the report. From an apartment sales perspective, Dubai Silicon Oasis and Dubailand proved to be the most resilient in Q3, witnessing a decline of just 2 per cent, with prices at Dh716 per sqft and Dh 740 per sq ft. In contrast, Discovery Gardens, as with rental rates, witnessed the steepest decline at 13 per cent with units now available for Dh 652 per sqft. In the villa sales market, Q-on-Q Palm Jumeriah, which has previously been a stalwart of resilience and price increases, observed a 5 per cent decline to Dh2,187 per sqft. According to Chestertons, the softening witnessed in Q2 was intensified next quarter with Arabian Ranches and Jumeriah Park both witnessing 8 per cent drops while The Lakes decreased by 4 per cent. The Meadows and The Springs, which remained flat in Q2 declined by 6 per cent to Dh935 per sqft. The volume and value of transactions for completed units dropped by 11 per cent and 13 per cent respectively however this was eclipsed by the decline in off-plan transactions, with a 31 per cent decline in volume and 33 per cent decline in value, said the expert. This sector is, however, still dominating the market with several attractive incentives including five-year post-handover payment plans, registration fee rebates and guaranteed rental returns contributing to favourable conditions for investors, remarked Vucinic.